My 5-yr old son began playing awkwardly with a Yo-Yo recently. I began showing him the tricks I’d learned as a kid. My uncle taught me how to “walk the dog”, and do “the cradle” trick moves. It was a wonderful place of nostalgia for me. Throwback Thursdays posts are all about fun nostalgia and a chance to remember the little things in life. However, in the larger scheme of history it is often forgotten that the Yo-Yo was popularized by Filipino Americans and shaped modern Americana! The primary twirler who brought the Yo-Yo into the mainstream was Filipino Pedro Flores. In the 1920’s a Yo-Yo probably sold for around 10 cents. Flores opened different factories making wooden Yo-yo’s and was the main innovator for using a slip-string on the axle to extend spin for trick moves. Donald Duncan saw a child playing with a Flores Yo-Yo and decided to later work with Pedro Flores. By the 1930’s Duncan eventually bought full ownership of the enterprise and created Duncan Yo-Yo. Today, a single mint condition Flores Yo-Yo is worth $2,000, while Duncan Yo-Yo’s are now a dime a dozen. I think it’s amazing that a toy could have so much impact on culture. From the first Yo-Yo contest in 1928 it became an American cultural phenomenon. The spread of Yo-Yo usage was pushed forward by different Filipino instructors and demonstrators. Initially, toy makers could not use the word Yo-Yo because it was trademarked by Flores & Duncan. Yo-Yo popularity was very high so manufacturers used different terms. 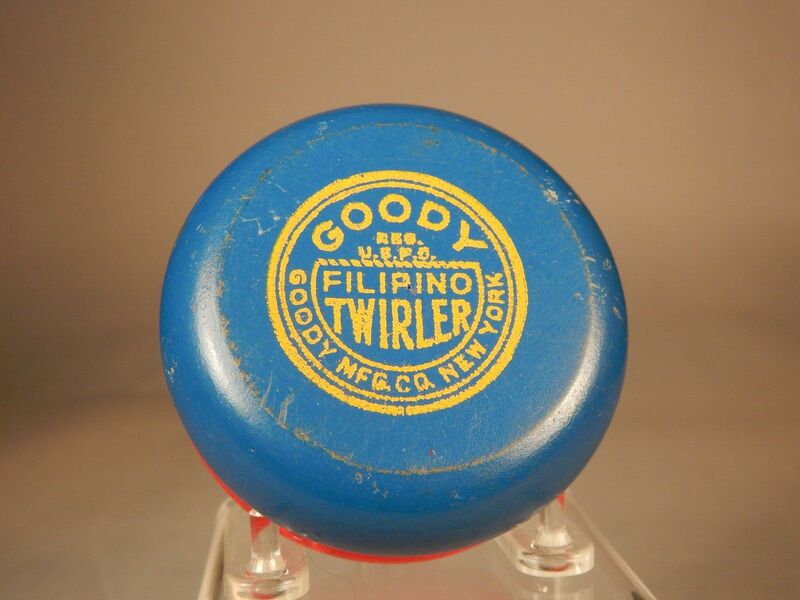 Competitors, like the Goody Company, came up with Filipino Twirler as their choice. The popularity of the Yo-Yo was also the downfall of Duncan. The word “Yo-Yo” became so common in American English that by 1965 Duncan lost the Yo-Yo trademark in a U.S. court case. I may try some light exercise and entertain my kids with their Yo-Yo today. Then on the weekend I may start up another Yo-Yo diet to lose weight. In either case, I’ll remember Pedro Edralin Flores and the large influence Filipinos have had on America.